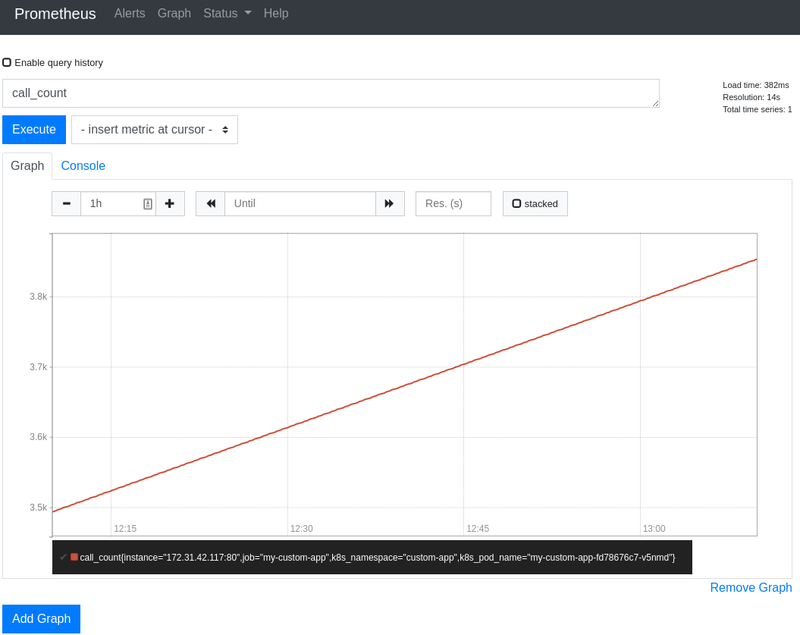 I’ve been trying to find a quick and easy example on how to setup application metrics logging on kubernetes using prometheus and grafana, from someone with minimal kubernetes experience. However after scouring the web, the examples I could find had lots of assumed knowledge on how kubernetes and its tooling worked, or just overly verbose. 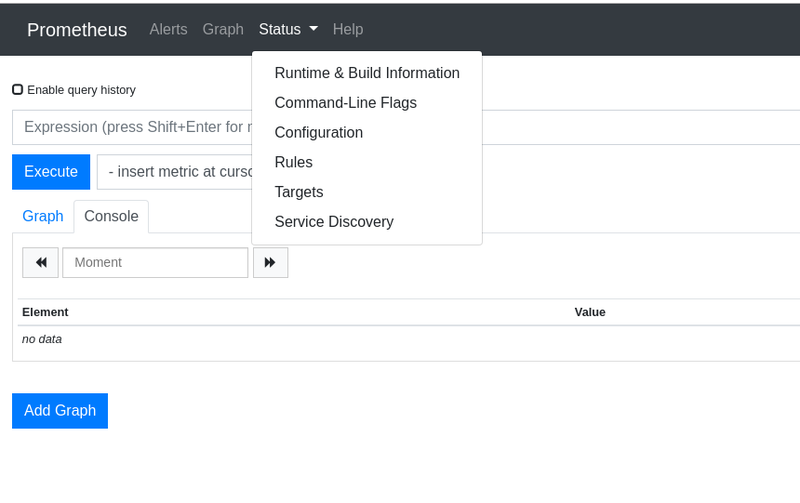 This article is more for me as a reference guide on how to setup application monitoring in Kubernetes using prometheus, and grafana with the help of Helm on EKS. Follow the AWS EKS quickstart guide to setup your EKS cluster. Make sure you have an Docker registry server, if you don’t, you can create one on AWS here. Save those two files to a a directory, build the docker image and upload the image to your corresponding registry. As Helm is a static binary, you can simply download the release for your relevant OS and include it into your PATH. Helm in short is like a package manager for Kubernetes: just like how you run apt-get install <package> to install a package onto debian-based systems, you run helm install stable/<application> to install said application onto your kubernetes cluster. 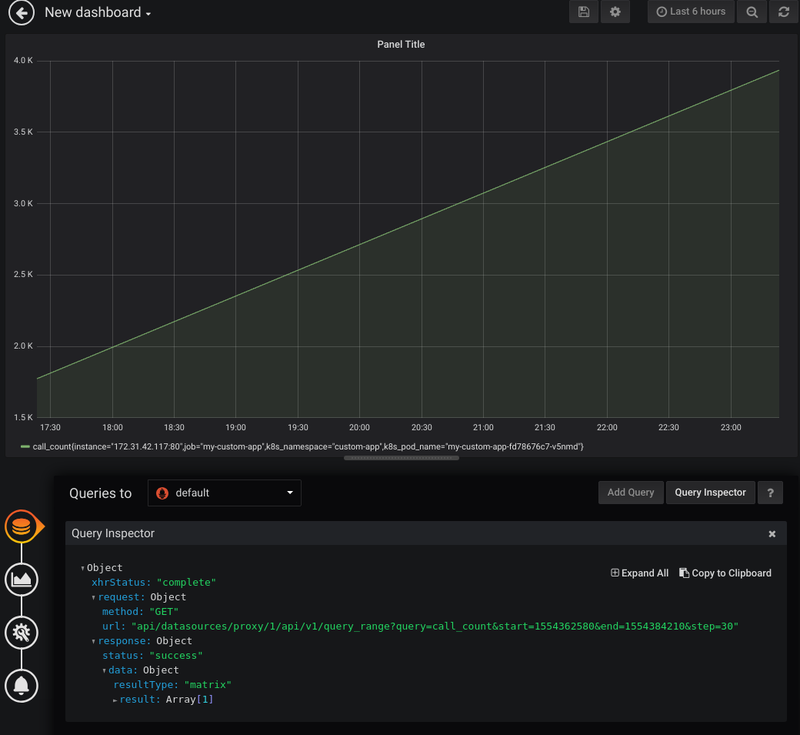 We’re going to deploy the prometheus and grafana packages from the helm repository to enable metrics logging and monitoring of our custom node.js application. Before using helm, we’ll need to install a package inside of our kubernetes cluster called tiller to interact with kubernetes’ API server in order to perform installations, updates, queries, etc. Then use your favorite text editor and add the contents from extra_job.yml into the scrap_configs section of prom.yml. Access localhost:3000 on your browser, enter in username as admin and password as what you got from the previous command and you should be able to configure your dashboard to look something like the image below! Understanding basic kubernetes automatically grants you +50 neckbeard and sysadmin skills.